Two police officers in Georgia are on administrative leave after using a coin toss app to determine whether to arrest a woman for allegedly speeding. Body camera footage obtained by WXIA-TV shows officers Courtney Brown and Kristee Wilson questioning, and ultimately detaining the woman. Brown admits in the recording that she doesn’t have equipment to determine the woman’s exact speed. 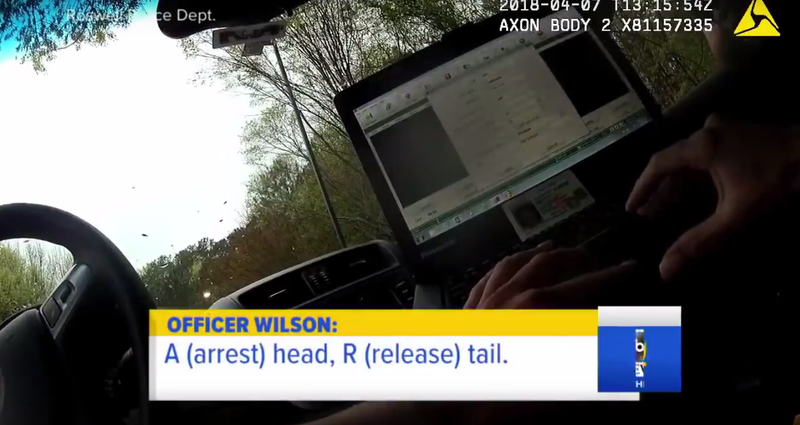 The footage also reveals Wilson setting the terms of a simulated coin toss: If it landed heads, they’d arrest the woman; tails, they’d release her. The woman “won”—if that’s even the appropriate word given what a mockery of criminal justice this entire scenario is—but it didn’t matter. The officers arrested her on charges of speeding, reckless driving, and driving too fast for conditions. On Monday, all charges against the coin toss arrestee were dropped.